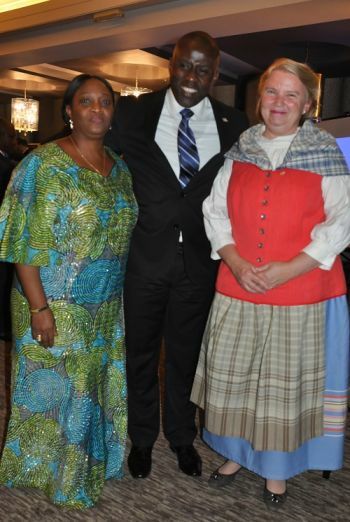 Liberian Government Extols the Kingdom of Sweden on the Occasion of Its National Day, As VP Howard-Taylor Recounts the Scandinavian Nation’s Contributions to Liberia. Monrovia-Liberia - On the Occasion marking the Swedish National Day, the Liberian Government has extolled the friendship, generosity, and courtesies from the great people of the Kingdom of Sweden toward the people of Liberia. The Government says Liberia and Sweden share common concerns, values, and aspirations as the country remains firmly standing with Sweden in the quest for global peace and cordiality, the rule of law, accountability, peace and the respect for human dignity. Speaking at the Swedish National Day celebration last Wednesday evening, Liberia’s Vice President Jewel Howard-Taylor noted that the role of the Kingdom of Sweden has not only lifted high the physical, political, economic, and social conditions of Swedes, but also profoundly impacted peace and friendship of the peoples of the world. “For several years now, Sweden has continued to stand firm as a key supporter and campaigner for world peace, as specifically manifested in the positive role she has performed in the advancement of peace in Liberia’’ VP Howard-Taylor recalled. VP Howard-Taylor in a special statement delivered at the occasion, described the celebration of the Swedish National Day as very historic milestone in the existence of the Kingdom of Sweden, according to a release from the office of the Vice President. The Day marks the Kingdom of Sweden 495th year of independent nationhood, with the crowning of King Gustav Vasa in 1523. The Liberian Vice President emphasized that Liberia acknowledges the enormous help Sweden is providing to further help drive the country’s development agenda. 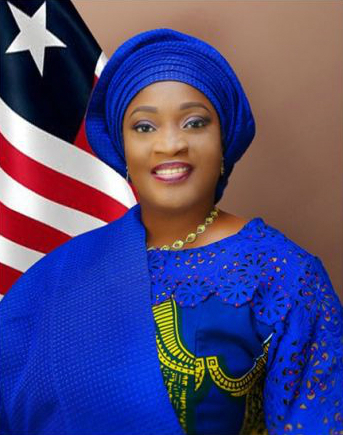 She noted that through Liberia’s lofty and profoundly cordial bilateral relationship with the Kingdom, the people of Liberia have felt the impact of many interventions, through various programs and projects. VP Howard-Taylor asserted that these programs and projects are in the areas of socio-economic development, encompassing funding of feeder roads, support to gender and education issues and the consolidation of the peace of the country. She also recalled the sustained involvement of the Swedish International Development Agency (SIDA) in the rehabilitation of Feeder Roads as well as Farm-to-Market Roads, in collaboration with the Ministry of Public Works in Bong, Lofa and Nimba counties, which she described as praiseworthy.